EUROCAM's policy document 'The role of Complementary and Alternative Medicine (CAM) in reducing the problem of antimicrobial resistance' describes the CAM perspective on infectious disease and the role herbal, homeopathic and anthroposophic medicine and their associated medicinal products can play to reduce the problem of antimicrobial resistance both in humans and animals. Antimicrobial resistance (AMR) is recognised by the WHO and EU as a major worldwide threat to public health. They have warned that, if measures are not taken immediately to counter AMR, the implications for human health will be devastating. Unquestionably antibiotics have successfully reduced illness and death from serious infectious diseases. But the burgeoning problem of AMR compounded with the fact that hardly no new antibiotics have been developed, demands new thinking. Rather than focusing on destroying pathogens (pathogenesis), the vital role of the host’s ability to counter them, based on good health and a properly functioning immune system, (salutogenesis) must now be emphasised. CAM therapies by their individualised holistic approach and focus on assisting each person’s innate self-healing and health-maintaining capacity can make a significant contribution to reducing AMR, both in the healthcare sector and in animal husbandry. EUROCAM calls for the potential of CAM in reducing the problem of AMR to be given serious consideration and for further research to be carried out in this area to determine in which conditions, both in human and veterinary healthcare, specific CAM modalities are particularly effective. Compared with other avenues, such as the identification and development of new antibiotics, such trials would be relatively easy and inexpensive to carry out. In return for this small investment, the potential rewards could be enormous. 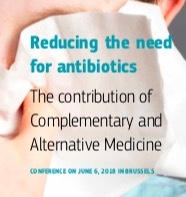 Information about the CAM-AMR Conference 'Reducing the need for antibiotics, The Contribution of Complementary and Alternative Medicine', held on June 6, 2018. 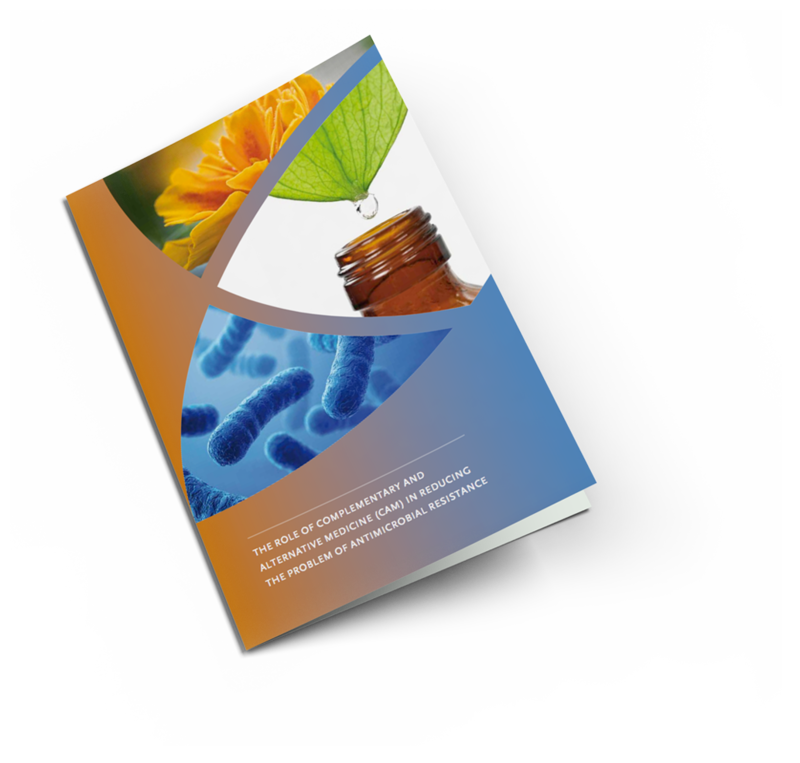 The Contribution of Complementary and Alternative Medicine to Reduce Antibiotic Use: A Narrative Review of Health Concepts, Prevention, and Treatment Strategies.